Returning to Israeli-Palestinian peace talks after a threatened walkout, U.S. envoy Dennis Ross oversaw an overnight negotiating session that made substantial progress on Israel's troop withdrawal from Hebron. 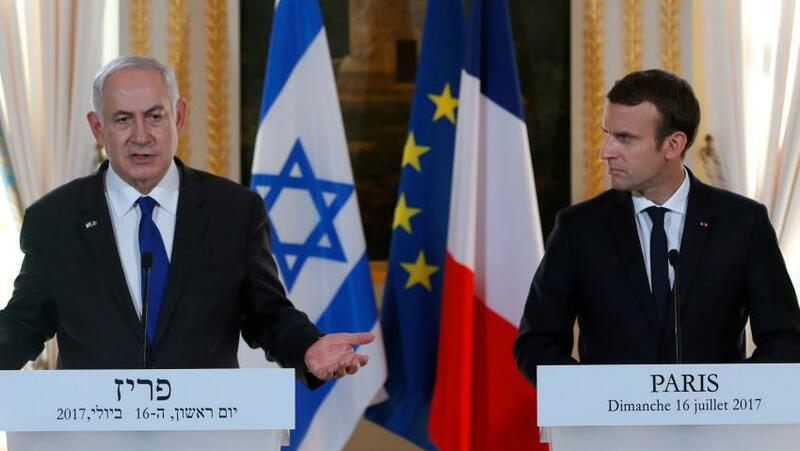 A new round of talks was to be held tonight, and Israeli Prime Minister Benjamin Netanyahu said the negotiations have been close to completion for several days. "It's not yet finished. I hope it will be completed soon," Netanyahu said. However, Palestinians said they didn't want to settle for just a Hebron deal, but also wanted assurances from Netanyahu that he would stop expanding Jewish settlements, ease the closure of Palestinian areas and release Palestinian prisoners. "Hebron is not the issue. It's whether they want peace or not, and all the indications show that they don't want peace," said Ahmed Qureia, the speaker of the Palestinian legislative council. Ross, who is President Clinton's envoy, had announced Monday evening he was returning to Washington, apparently after concluding that the talks were hopelessly deadlocked. The United States reportedly has been pressing the two sides to reach agreement on a Hebron pullback before the U.S. elections. U.S. Embassy spokesman Richard Scorza said Ross decided to delay his departure when it became clear the latest round, which lasted until after 3 a.m., was producing results. "We were in the midst of the most promising discussions to date on the issue of civil affairs," Scorza said. "The discussions made significant progress." Civilian affairs deals with Israel's demand to be allowed to build or buy property to expand the Jewish community in Hebron. About 450 Jewish settlers live in Hebron, amid 94,000 Palestinians. The latest agreement gives Israel the right to stop Arab construction adjacent to Jewish settler buildings when it is deemed dangerous -- such as high-rises that could be used as sniper platforms. The Jewish community can also be expanded under permits from Palestinian city officials, Israel radio said. A parallel round of talks on security arrangements for the settlers broke up Monday night, with Palestinians storming out. Scorza said security talks would resume tonight. U.S. Embassy officials had initially called reporters to a Tel Aviv hotel today for what was to be an announcement by Ross. However, after several hours of waiting, reporters were only given a brief statement by Scorza. The change in plans suggested the progress had not been as far-reaching as initially hoped for by the U.S. delegation. Ross had already been on his way to the airport Monday evening when he received a phone call -- one unconfirmed report said from Netanyahu -- and returned to the talks. Earlier today, Israelis and Palestinians pointed fingers at each other for failing to wrap up an agreement. Palestinian leader Yasser Arafat said talks were at an "impasse" and, when asked who was responsible, said tersely: "Israel." Israeli President Ezer Weizman said Arafat was intentionally delaying the agreement because he felt that the world was behind him. "The person who is stalling today and the person who is posturing is Arafat," Weizman said. "The whole business could be completed by the end of the week without a problem." Still, Netanyahu said that once once an agreement was within reach, a meeting between him and Arafat was "possible and even desirable to tie all the loose ends." In overnight negotiations, Israelis and Palestinians both reported progress. Yossi Beilin, one of the key players in Mideast peace talks in Israel's previous government, warned today that Netanyahu risked alienating President Clinton if he stuck to hard-line positions over Hebron and was seen as responsible for delaying the deal.